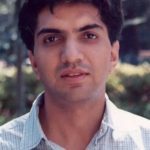 Aprajit Mahajan is an Assistant Professor at Stanford University. His research interests are in the fields of econometric theory, development, and applied econometrics. Enforcement in Value Added Tax: Is third party verification effective?